1. 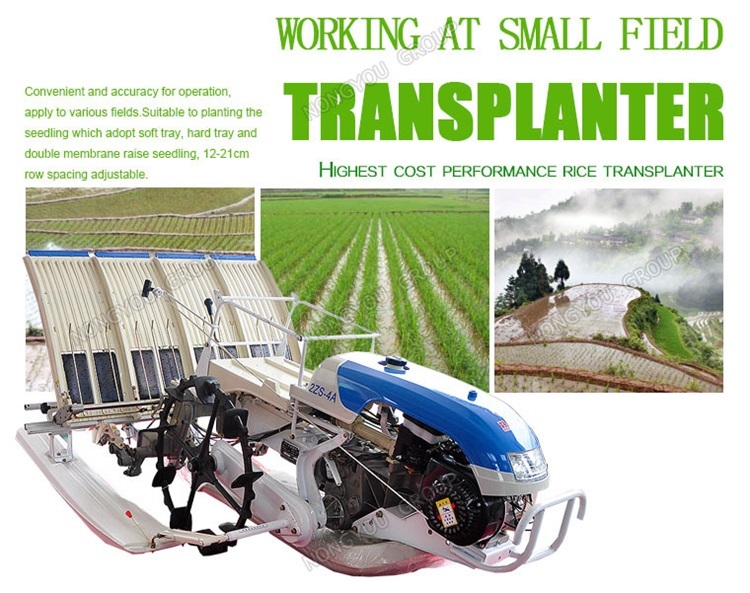 Walking type transplanter has the simple structure to operating flexible. 2. Adopting 660mm large diameter rubber wheel, it can satisfy to deep mud field operation, also for hilly areas. 3. Adopting high performance metal materials, it can achieve to automatic balance for right and left wheels. And reach to the same depth for seedling. 4. Adopting domestic Silong engine power with 2.4hp, have the powerful power output, and low fuel consumption. Then it have the long usage life and stable quality. 5. We can send the engineer abroad to provide technical support if we have a long term cooperation. 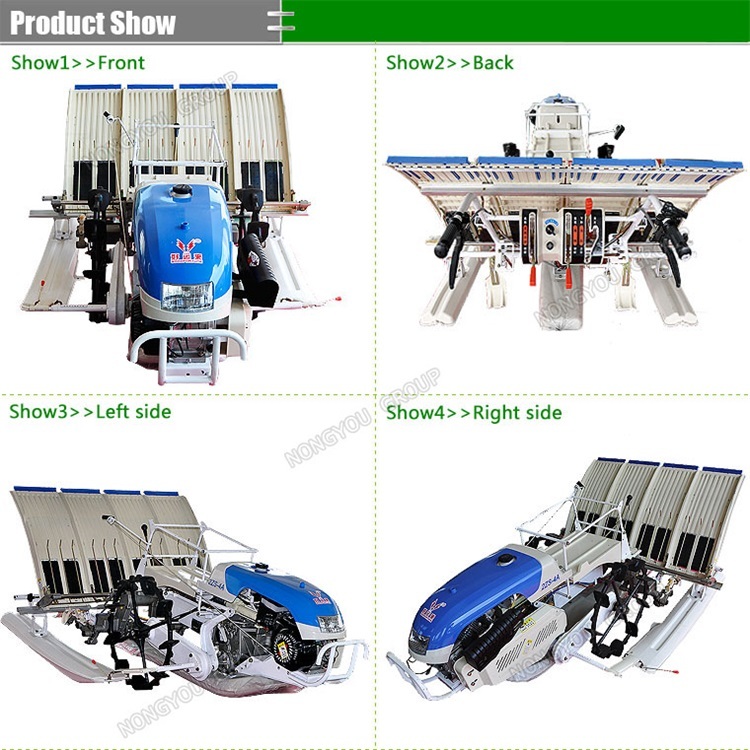 4 line rice transplanter has been designed as simple structure and reasonable price. 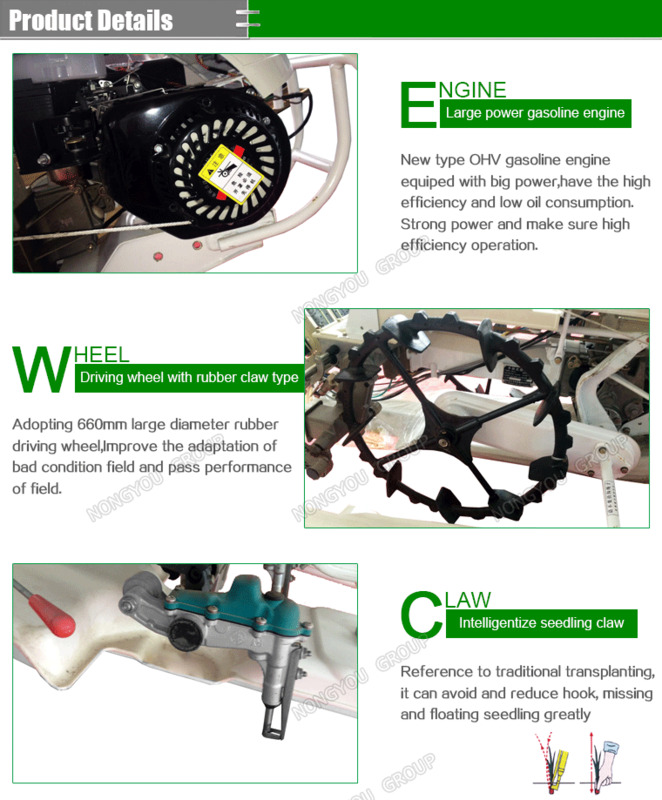 It apply to deep mud field and bad condition field. 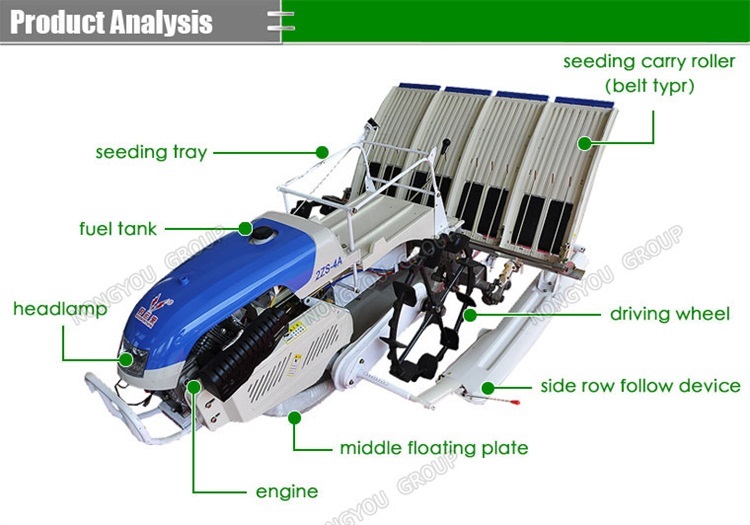 And also widely applicable to rice planting of small field, especially for hilly areas. The line distance is 300mm, row distance have 5-grades adjustable including 210-180-160-140-120mm by a simple and quick operation . 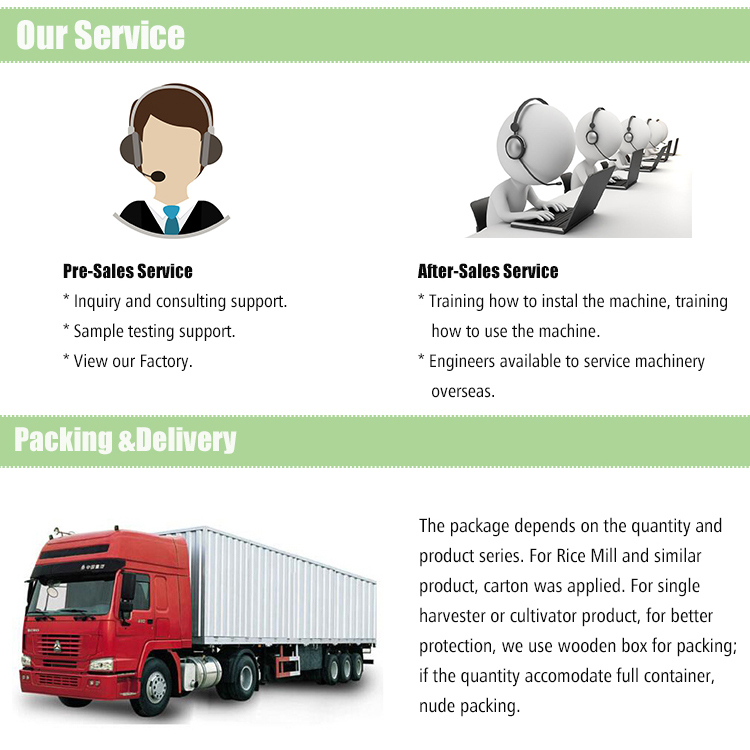 Also as a 20 years history manufacturer, we can provide customized service and good after-sales service overseas. 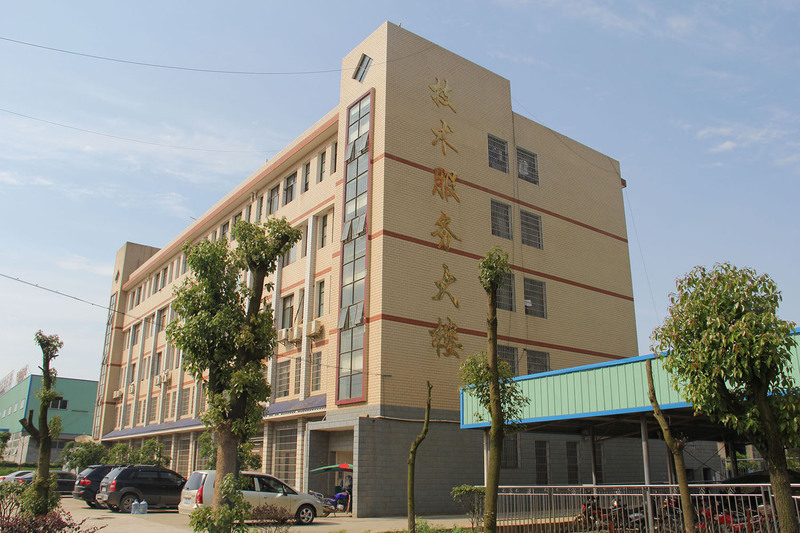 We warmly welcome all of you to visit our company, and we will provide best price for you if you have the sincerity cooperation wishes. 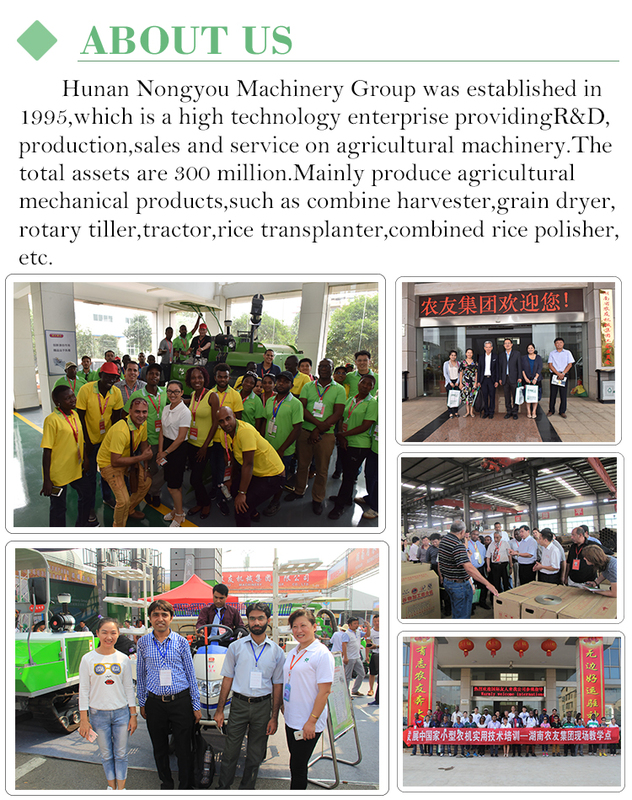 Hunan Nongyou Machinery Group was established in 1995, which is a high technology enterprise providing R&D, production, sales and service on agricultural machinery. 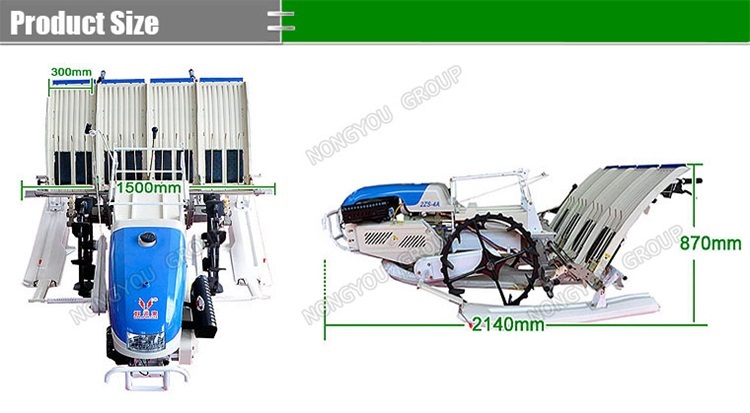 Our main products are Combine Harvester, Grain Dryer, Rotary Cultivator, Tractor, Rice Transplanter, Rice Mill, etc. Our group owns 136 national patents, of which 36 invention patents; eight technologies were identified as the domestic leading level. 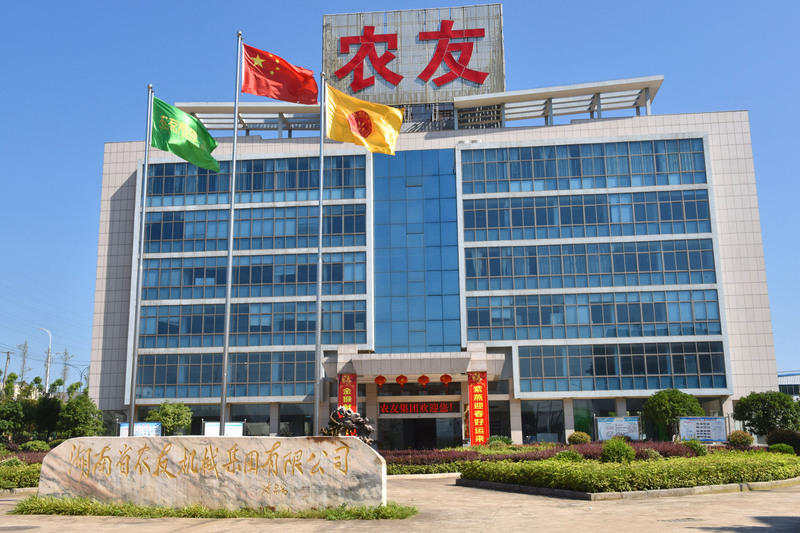 [Good fortune" trademark was recognized as the [China Famous Brand", it has obtained several honors, such as [The Award for Product Quality in Hunan Province", [The Famous Brand in Hunan Province", and [The Famous Trademark in Hunan Province". In the country and the Association of South-east Asian nations (ASEAN), African countries, there are more than 200 distributions and after-sales service networks. 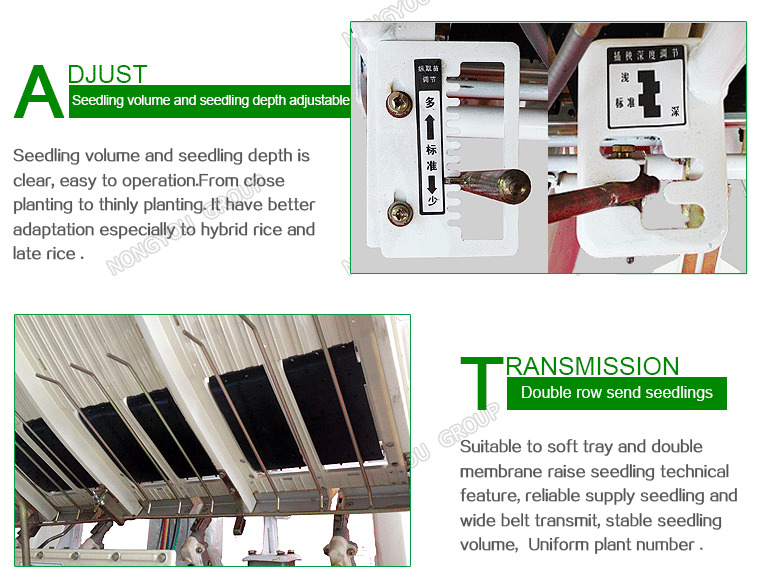 Our Rice Mill selling has ever ranked top1 in China. 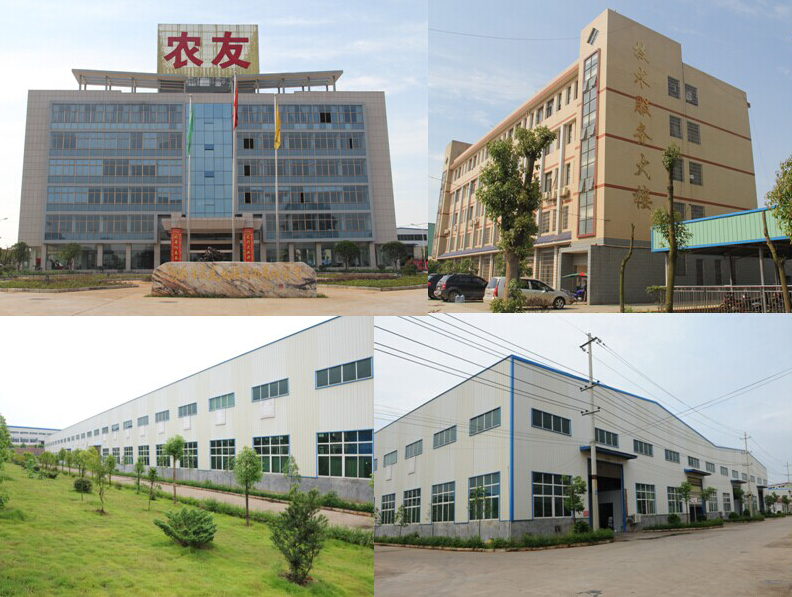 Our products have been widely sold to Vietnam, Thailand, Laos, Myanmar, Malaysia and other countries and regions. 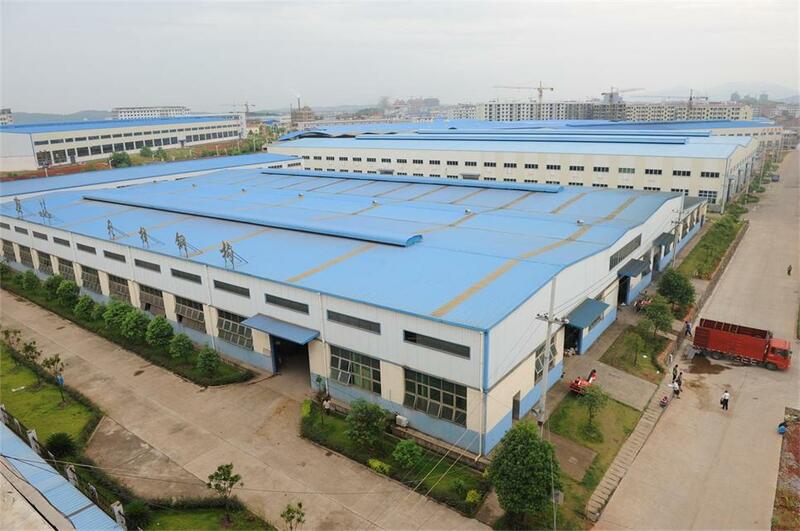 Nongyou Group aims to implement "Good quality first, intelligent manufacturing, 3-year- guarantee service", to catch up with the advanced international enterprises level.